Back in the first Q & A, you said Chris Froome would join an elite group if he won his fourth Tour. Who’s in that group? Well, nobody’s won four Tours exactly. Some have won three and then there’s an elite group that’s won five. This would include Eddy Merckx, Jacques Anquetil, Bernard Hinault and Miguel Indurain. Now that He Who Must Not Be Named has been stripped of his titles, those are the ONLY members of the group. Speaking of Lance Armstrong (sorry, I just named him), now that his seven consecutive titles have been taken out of the record books, has anyone every won five in a row? Miguel Indurain won five straight from 1991 to 1995. Prior to that, Eddy Merckx and Jacques Anquetil had won four in a row. Louison Bobet won three in a row in the 1950’s. So yeah, three in a row and four overall would put Froome in some pretty exclusive company. There’s certainly a good chance. At age 32, Froome might have one or two more wins in him. But he’s got a bevy of young challengers coming up, so time is definitely not on his side. Has the Tour leader always worn a yellow jersey? No. In the early years of the Tour, the leader wore a yellow armband. This was changed to a full yellow jersey in 1919. The reason for the yellow color is that L ‘Auto, the magazine that created the Tour, was printed on yellow paper. 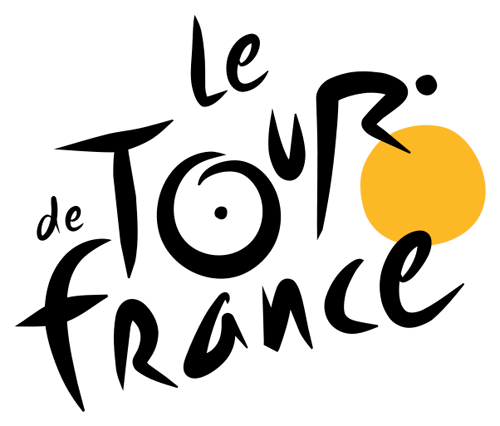 Do the other Tours use a yellow jersey? Because of its identification with the most important bike race in the world, yellow has sort of become the standard leader’s jersey in the industry. However, it is not necessarily the ONLY color used for a leader’s jersey. The other two Grand Tours use different colors. The Giro d’Italia has a pink jersey because La Gazzetta dello Sport, the magazine that founded THAT tour, was printed on pink paper. The Vuelta a Espana originally used a yellow jersey, then switched to gold and, more recently, to red. How long have the other Grand Tours been around? The Giro is nearly as old as the Tour. It was started in 1911, just 8 years after the creation of the Tour. The Vuelta is the baby of the group. It was first run in 1934 and run infrequently until 1955. It has been run annually since. Has anyone every won all three Grand Tours in a year? No. If you stop to consider that riding a Grand Tour has been compared to running a marathon every day for three weeks, you get an idea of how difficult it is to even ride one, let alone win one, let alone win all three. Even the club of riders who have won all three in a CAREER is pretty small. Jacques Anquetil (Tours in 1957 and 1961-64, Giros in 1960 and 1964 and the Vuelta in 1963), Felice Gimondi (the Tour in 1965, Giros in 1967, 1969 and 1976 and the Vuelta in 1968), Eddy Merckx (Tours in 1969-72 and 1974, Giros in 1968, 1970 and 1972-74 and the Vuelta in 1973), Bernard Hinault (Tours in 1978-79, 1981-82 and 1985, Giros in 1980, 1982 and 1985, and Vueltas in 1978 and 1983), Alberto Contador (Tours in 2007 and 2009, Giros in 2008 and 2015 and Vueltas in 2008, 2012 and 2014) and Vincenzo Nibali (the Tour in 2014, Giros in 2013 and 2016 and the Vuelta in 2010). How long have the other jerseys been around? The GC, obviously, goes back to the beginning, though it alternated between tracking time and a points system in the early years. The Mountains Classification was added in 1933, but the distinctive polka dot jersey was not created until 1975. The Points Classification was created in 1953. The Young Rider Classification was added in 1975, though between 1989 and 2000 the white jersey itself was not awarded to the winner. Has the Tour always had teams? Not always. Henri Desgrange, the Tour’s earliest organizer, pictured it as an individual competition and vehemently opposed the influence of “trade teams” (privately owned and sponsored teams.) In the 1930’s, Desgrange changed the race to only allow national or regional teams. The race switched back and forth between trade teams and national teams until 1969. It has been ridden exclusively by trade teams since. How different did the race look in its early years? Pretty different. It was originally only five stages. Night rides were allowed. Mountain stages were not introduced until 1910. Desgrange felt that riders should be self-sufficient, so they were not allowed to receive ANY kind of aid in repairing their bikes (riders often rode with spare tires looped around their bodies and carrying what amounted to a tool kit.) They weren’t even allowed to receive water. Desgrange opposed bikes with gears and favored tires with wooden rims only. So, pretty primitive compared to what we’ve become used to. Which country has won the most Tours? France still has the largest number of Tour winners. 21 different French riders have won 36 Tours. To give you an idea how dominant the French have been in their own tour, the next closest country, Belgium, has less than half as many winners (10) and half as many Tour wins (18). When was the last time a Frenchman won the Tour? 1985, when Bernard Hinault won his record-tying 5th Tour. Since then, there have been a number of second place finishes (Hinault in 1986, Laurent Fignon in 1989, Richard Virenque in 1997, Jean-Christophe Peraud in 2014 and Romain Bardet in 2016.) But the French are still waiting for a winner. Any chance that will happen soon?